The ABA Dispute Resolution conference, held this year in New York City, presents an interesting mix of programs on mediation, arbitration, negotiation and collaborative practice. The conference manages to combine these fields, even though the cultures of mediation and arbitration don’t always mesh very well; in fact they sometimes seem like opposites. But practitioners in both fields seem to get along. What they have in common is the desire to avoid litigation. Having a common enemy makes friends of us all. Thus, at one of the panels I attended, in-house counsel acknowledged that they require employees to sign arbitration clauses so that the company can avoid the burden and expense of class action lawsuits. Mediation or arbitration of employment disputes is also encouraged to avoid the costs of ordinary litigation, especially the cost of discovery disputes. At another session, the benefits of early dispute resolution were mainly described in contrast to the enormous expense of motion practice and document production found in litigation. These concerns are valid, and it is absolutely correct that ADR can and should be promoted as a faster and cheaper alternative to litigation. But perhaps more attention should be paid to the question whether we can reform litigation–the “normal” conflict resolution process–instead of treating it as the bogeyman. When I hear attorneys and clients complain about the high cost of discovery and motion practice in litigation, my first thought is that we should attack that problem more directly. 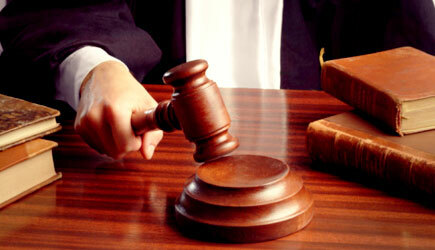 We could greatly improve the court system by reducing the number of motions filed, and the amount of discovery sought. Most of those efforts are wasted anyway. Those pre-trial battles usually do not help much in the assessment of settlement options. They may even cause so much negative reaction from the other side that they hinder settlement. And even for the relatively rare cases that go to trial, trial counsel usually find that the boxes containing all those discovery disputes and other pre-trial motion practice are hardly ever opened. I firmly believe that if litigators could learn to find common ground where possible with their adversaries, instead of reflexively opposing everything the other side says, we could remove much of the waste and negativity that pervades litigation. We could also achieve better results for clients by negotiating the resolution of disputes within lawsuits, especially discovery disputes, rather than asking the court to decide them all, and we would save clients a lot of money by doing that. But even if we were to assume that all of the expensive discovery and motion practice in the court system were necessary–and much of it unfortunately is necessary or unavoidable–it still seems to me that we are selling ADR short by selling it only as an alternative to a costly and inefficient litigation system. We ought to be touting the positive benefits of mediation and other negotiated resolutions of conflict–the opportunity for parties to control the outcome, to achieve greater understanding of the opposing party’s interests, to resolve disputes in a more constructive way–instead of suggesting that we like ADR just because it is faster and cheaper than litigation. If all we wanted was a cheaper and faster means of resolving disputes than presented by the court system, we could roll dice to determine outcomes. The process of dispute resolution must have higher aspirations than simply finding a cheaper and faster alternative to litigation.